Network Rail missed all its punctuality targets for England and Wales last year, rail regulator figures reveal. Some 361,000 train services in London and the South East and 70,500 national journeys were cancelled or late. The Office of Rail Regulation (ORR) figures come after the company's bosses were awarded bonuses equivalent to 17% of their salaries. 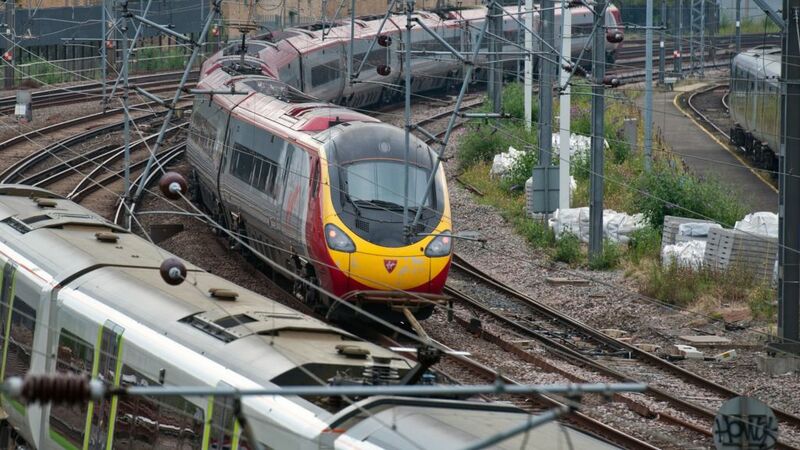 Virgin Trains says it will take action against Network Rail, claiming a breach of contract over punctuality. Network Rail faces anger from passengers and action from Virgin Trains after missing punctuality targets over the last year.